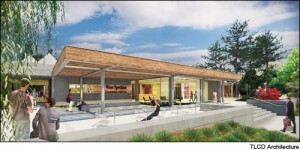 Sonoma State University has been a Wine Tourism Conference advocate for many years. This University’s involvement in the world of wine is deeply rooted and their academic wine programs, offered through the Wine Business Institute, represent the academic and forward thinking relationship between the university and the wine industry. The WTC recently chatted with Ray Johnson, Director of Sonoma State’s Wine Business Institute , about their flagship Wine MBA program and the 12-month, online certificate program in wine business management and what these programs mean for the global world of wine tourism. More and more people are working in the wine industry and in all different aspects of the business. The wine industry is a highly competitive environment – the MBA in Wine Business services a niche in the wine business world and allows students to sharpen their skills. The core program content of this wine specific MBA doesn’t differ from SSU’s other MBA programs. It builds upon it’s other educational platform and focuses on themes and issues pertinent to wine: wine industry compliance and law, sustainability in the wine hospitality industry, global wine business, global marketing strategies, international supply chain management, and marketing and sales strategies for wine. We (at Sonoma State University) are very supportive of Allan and the team that organizes the Wine Tourism Conference. The conference is a way for people to take time out of their daily activities to reflect and study and share best practices for growing the (wine tourism) pie. Our online program allows people interested in getting into the wine industry to access important wine industry business principles from wherever they live. We are very excited about the results of this (relatively new) program and look forward to it’s continued success as an accessible yet robust program. 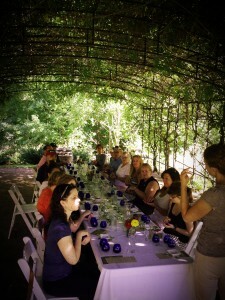 Combining wine tourism with a formal olive oil tasting in Oregon. One of the wine tourism topics of conversation Ray looks forward to diving into at this year’s Wine Tourism Conference in Paso Robles is how to create better wine experiences for wine region tourists. “It has to be so much more than just tasting the wine….how do we create an experience for the customer that is truly memorable?” The organizers of the conference have also identified this as a critical topic of conversation for 2014 and are offering a pre-conference Workshop titled, “Creating Engaging Activities & Events”, which aims to spark new ideas regarding how to turn “just tasting” into an equitable and memorable experience for wine tourists. The Wine Business Institute at Sonoma State University also has other news to celebrate: the Wine Spectator magazine has gifted them the generous funds for the new “Wine Spectator Learning Center” which will house the new home for all wine degree and certificate program offerings at Sonoma State University starting in late 2016. Thank you, Sonoma State University, for your participation in and support of the Wine Tourism Conference. We look forward to seeing you in beautiful Paso Robles, CA this November 12-14!